M. J. Rowles is an accredited Lawn Solutions Australia Centre. All our turf is supplied by a Lawn Solutions Australia accredited turf grower. When buying turf from a Lawn Solutions grower you are not only backed by a 10 year turf product warranty, but you also know that the turf you are receiving is of the highest quality with the best possible service. Sir Grange Zoysia has many distinct qualities. Not only does its fine texture make it look fantastic, it has great shade and drought tolerance as well. Once established, Sir Grange will use up to 50% less water and nitrogen than other common turf varieties to stay green. Sir Grange has a very dense root structure, making it very difficult for weeds to penetrate. It’s also a slow growing variety making it very low maintenance. A low maintenance variety with a bright emerald green appearance, low water usage and drought tolerance. 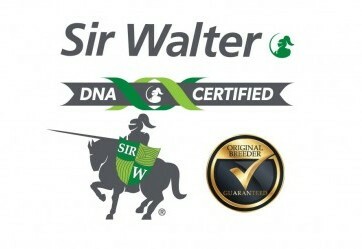 Sir Walter is the best all-round premium turf available – it’s Australia’s no.1 soft leaf buffalo lawn. It’s an Australian native that’s able to cope with all climate types in mainland residential areas – from the tropics, desert areas, coastal and inland frost regions. Sir Walter has a great colour over warmer months and throughout the year especially in coastal environments. A self-repairing, hard wearing, low maintenance grass, Sir Walter requires minimal watering, has high shade and salt tolerance and will last indefinitely with very little maintenance. Visit: Click Here for more information. A fast growing grass variety ideally suited for large open areas such as sports fields. 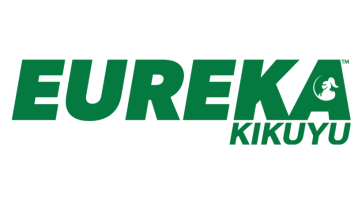 Kikuyu is a warm season grass variety that is suitable for both domestic and commercial use. It grows vigorously during summer, goes dormant over winter yet retains its colour throughout the year if not heavily frost affected. Kikuyu grows faster than any other lawn grass and as a result is most suited to large open expanses, sports fields etc., where mowing, invasion of gardens or shade is not an issue. This variety forms a dense mat with a deep root system which is suitable for erosion prone areas and makes it hard to kill. This fertiliser has been developed for use on Sir Walter Soft Leaf Buffalo (available from MJ Rowles) and most other lawn varieties. The 10kg bucket of fertiliser will treat up to 500m² of lawn delivering all the nutrients the turf needs to recover and grow. 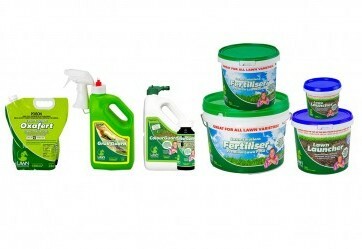 For smaller lawns this fertiliser is also available in a 4Kg bucket, which is good for a 200m² lawn. Sir Launcher is the ideal starter fertiliser for any lawn variety. The combination of high quality fertiliser and moisture magnets water crystals, will ensure a great start for your new lawn. NOTE: This is a starter fertiliser and therefore should be applied to the soil before the lawn is installed – DO NOT APPLY TO THE TURF ITSELF. Lawn Solutions Oxafert Herbicide & Fertiliser is a pre-emergent herbicide for control of many annual grasses and broad-leaf weeds in warm season turf. Lawn Solutions Oxafert is registered for use in a variety of recreational turf situations including lawns (domestic & commercial) sports fields, fairways and golf tees. Oxafert will not harm healthy turf. It controls weeds by controlling seedlings as they come in contact with the herbicide during germination. It will not inhibit root growth or recovery from damage. It is important to note it will not kill existing weeds it is used to prevent new weeds appearing. Developed specifically to stimulate, support and protect the new root growth in turf, Lawn Rescue is an ideal starter fertiliser. Use of Lawn Rescue will promote the proper development of root systems and early turf growth. It will rejuvenate existing lawns, bringing back life and vigor to tired turf. The 2 litre pack contains enough fertiliser to treat 150 square matres of lawn. Lawn Lovers Buffalo Weed Control is the perfect solution to control most common weeds. Lawn Lovers Buffalo Weed Control is a ready-to-use weed control agent specifically developed for use on buffalo lawns, with 1 pack covering 200 square meters’. Use for the control of Bindii, Creeping Oxalis, Catsear, Clover, Cudweed, Dandelion and other annoying but common lawn weeds. Bin-die is the perfect solution to control most common weeds. A ready-to-use weed control agent specifically developed for use on buffalo lawns, with 1 pack covering 200 square meters’. Use for the control of Bindii, Creeping Oxalis, Catsear, Clover, Cudweed, Dandelion and other annoying but common lawn weeds. Grub Guard is one of the only products currently on the market that can be used as a preventative treatment against lawn grubs. Containing the active ingredient Esfenvelerate (a broad-spectrum insecticide toxic to most insects, but less toxic to birds, and of minimal toxicity to mammals) it’s safer to use than any other pest control product. In addition it also prevents some damage to your foliage as it can be applied when the moths appear, prior to the actual attack.